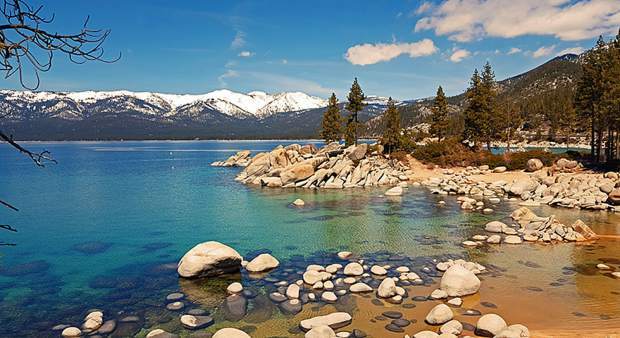 TAHOE/TRUCKEE, Calif.— Content for briefs is selected from e-mail submissions to Community Editor Amy Edgett at aedgett@sierrasun.com. The Membership Orientation is open to all building contractors, specialty contractors, suppliers, and design professionals who work in the Truckee Tahoe area. The Orientation is geared to individuals and companies who want to maximize promotional efforts while being kept up to date on local building codes, fees, remodel trends, and more. Learn about CATT benefits and services and how to get the most out of a CATT membership. Current CATT members encouraged to attend. This is an opportunity to meet CAT Board Members and Committee Chairs, and find out how the membership dollars are spent. AT&T has expanded its 4G LTE network in Reno, bringing more customers the latest generation of wireless network technology. AT&T launched 4G LTE in Reno on Dec. 13, 2012 and the expanded coverage is part of its ongoing rollout across the market. AT&T 4G LTE coverage now includes parts of Truckee and Grass Valley. The Town of Truckee has launched OpenCounter:Truckee. A web-based tool, OpenCounter helps start-up businesses interested in Truckee estimate the time, costs and processes necessary to set up shop. Each year more than half a million new businesses are formed nationally. These employers are a key element to creating strong communities. Truckee’s investment in OpenCounter is part of its overall strategy to encourage small business and local economic development. In January 2014, the Town Council approved two new economic development incentive programs: Economic Development Support Program and the Economic Development Fund Program. 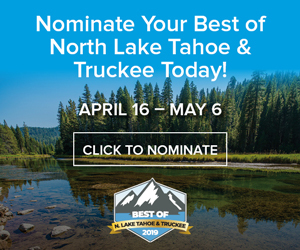 For more information visit http://www.townoftruckee.com or call 530-582-2914. If a picture is worth a thousand words, than an eye-catching and informative dashboard, map or infographic speaks volumes. Nonprofits can create data visualization tools that effectively communicate their message to board members, executive directors, funders, staffers or volunteers. The Center for Nonprofit Leadership of Nevada County is holding a “Dashboards, Maps and Infographics: Tools to Measure & Communicate” workshop from 8:30 a.m. to noon, Friday, April 11, 236 South Church St. in Grass Valley. Many nonprofit officials “think it’s too complicated, too costly,” said Steve Monaghan, workshop presenter and Chief Information Officer for Nevada County. “But there are some simple things you can do.” Monaghan will answer questions and hold breakout sessions during the workshop. Registration deadline is April 8. Check-in begins at 8 a.m. April 11. The cost is $45 for one or two CNL members registered from the same organization; $60 for non-members. Additional participants are $25 for the same member organization, and $35 for non-member organizations. The fee includes a continental breakfast. Visit http://www.CNLSierra.org, http://www.facebook.com/NevadaCountyNonProfitLeadership and Twitter @NevCoNonprofits. North Tahoe Little League fields baseball teams from the West Shore to Incline Village. Consider becoming a business partner by sponsoring a team and/or displaying your company logo on a field banner. Home Run level sponsor ($450) has only your company name on uniforms, banner at chosen field, and team photo plaque. Triple level sponsor ($350) has shared company names on uniforms, banner at chosen field, and team photo plaque. Double level sponsor ($250) produces a large company logo banner displayed at the field if your choice. Single level sponsor ($150) displays your existing company logo banner at the field of your choice. In California contact Mark Sura, club-bigblue@hotmail.com, in Nevada contact Robyn Hugar, robynhugar@cloud.com. Consider becoming an Earth Day supporter by making a tax-deductible donation at a designated sponsorship level. Tahoe Truckee Earth Day is also open to event sponsors funding certain aspects of the event i.e. film festival, artwork, etc. Contact Steve at SAddison@squawvnc.com. The Tahoe Truckee Earth Day Festival is a volunteer run, nonprofit event to recognize, celebrate and promote the region’s unique beauty. Drop by the Village at Squaw Valley on April 19, 2014 for fun, live music and entertainment, and to learn how to preserve and protect our local and global natural resources. Nevada County Treasurer & Tax Collector Tina M. Vernon will set up office in the Truckee area to serve Eastern County residents during peak property tax season. This is the first time a seasonal office for the Treasurer & Tax Collector has been available on the Eastern side of the county. Second installments are due no later than April 10, 2014. 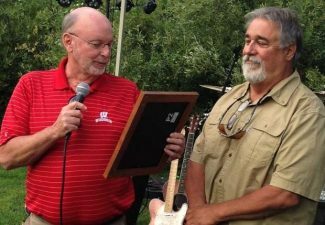 The seasonal office will be located at the Truckee Sheriff Substation in District V Supervisor Anderson’s office at 10879 Donner Pass Road, Ste. A. Vernon will be available April 7-9, 9 a.m.-4 p.m., and is encouraging residents to come by and pay their property taxes, ask questions, or to just say “hello.” Payments can also be made by mail, postmarked no later than April 10, 2014 and sent to P.O. Box 128, Nevada City, CA 95959-0128 or made in person at the Nevada County Tax Collector’s Office, 950 Maidu Ave. in Nevada City. The office also offers payment by credit card or by virtual check at http://www.mynevadacounty.com/nc/ttc.